The Brazilian producers of Friday’s Opening Ceremonies at the Rio Olympics made climate change a significant focus of its pre-Parade of Nations pageantry. 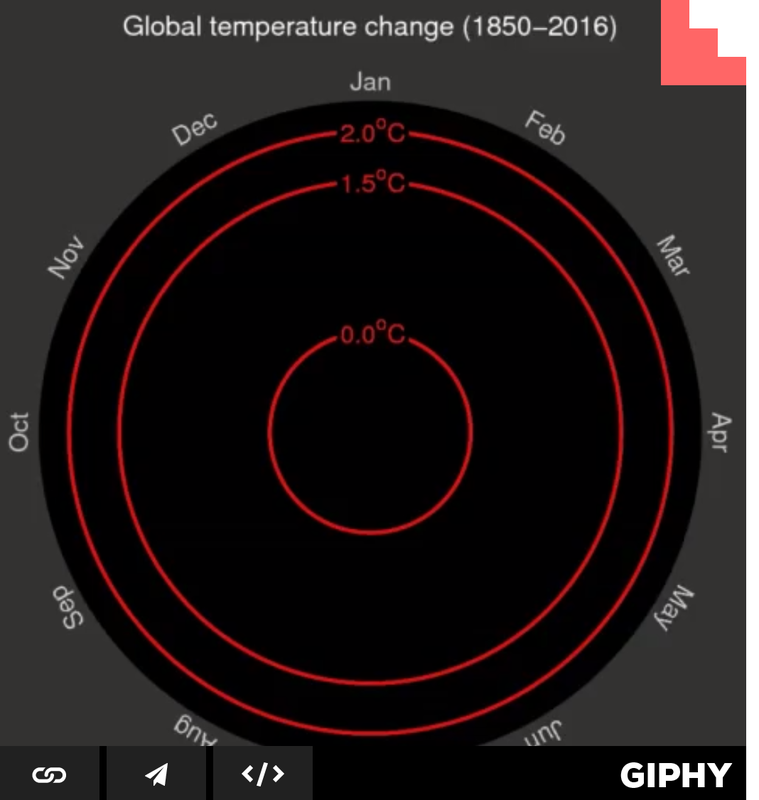 With a global audience estimated at 1 billion people, this is undoubtedly the most widely-viewed climate change message ever. This is the power of Green-Sports on steroids. 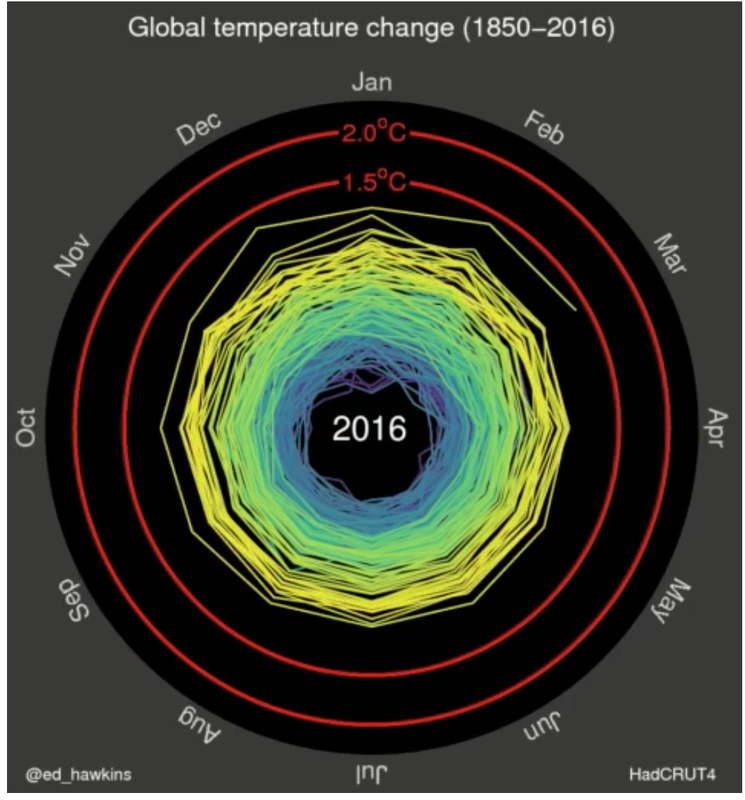 The extent of global temperature increase from 1850 to the present. Expected future effects rising sea levels due to global warming will have on some coastal cities, including Rio. The message was as powerful as it was clear: The world must do whatever it can to stop climate change, and fast. Again, we’re talking one billion viewers, the biggest audience ever for a climate change message. That makes its inclusion, it says here, the most important moment in the Green-Sports movement’s history. And there is a “long tail” to the story, as Saturday is replete with major media coverage of the Climate Change Opening Ceremonies (my term): Huffington Post, Mashable, New York Times and The Guardian weighed in from the left side of the news spectrum. Si.com’s sports media reporter Richard Deitsch dove in approvingly. ESPN.com mentioned the climate change story. NewsCorp’s right-leaning Wall Street Journal and New York Post each mentioned the environmental portion of the program, albeit in passing in the Post’s case. Given both papers’ general skepticism and denial of climate change, I consider their uncritical coverage a small victory. Kudos to the producers of the Opening Ceremonies and to the Brazilian organizers of these games for making a powerful climate change statement to the world. GreenSportsBlog will reach out to organizers of future mega events, including Super Bowl LI in Houston, the 2018 Winter Olympics in Pyeongchang, South Korea, and the 2018 World Cup in Russia, to see if they plan to build on the foundation the producers in Rio laid down.